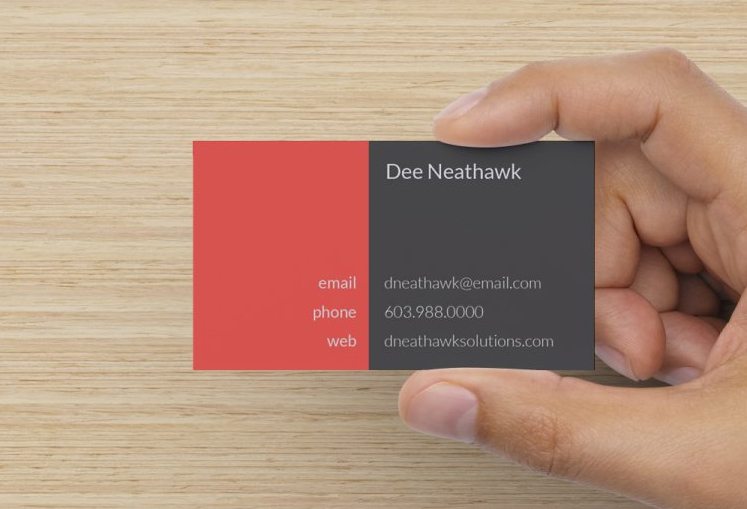 DN Office Solutions was looking to rebrand to reflect the evolution of their business. 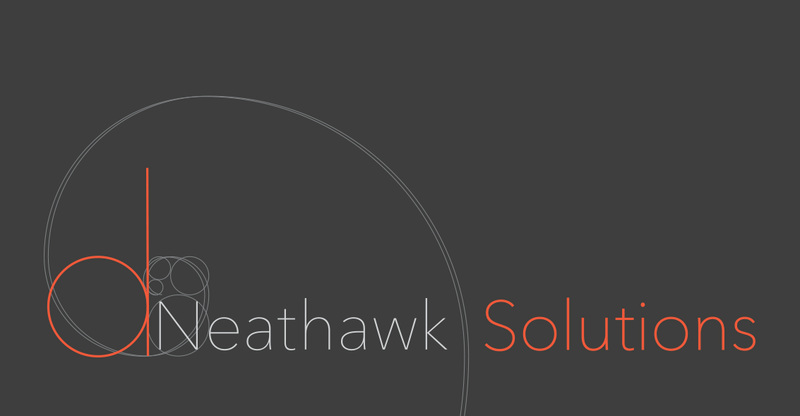 I suggested the name change to d.Neathawk Solutions (or simply Neathawk Solutions) to move away from any office supply/furniture connotations, then created an entirely new logo with a modern color palette to reflect their expansion into custom software and tech services. 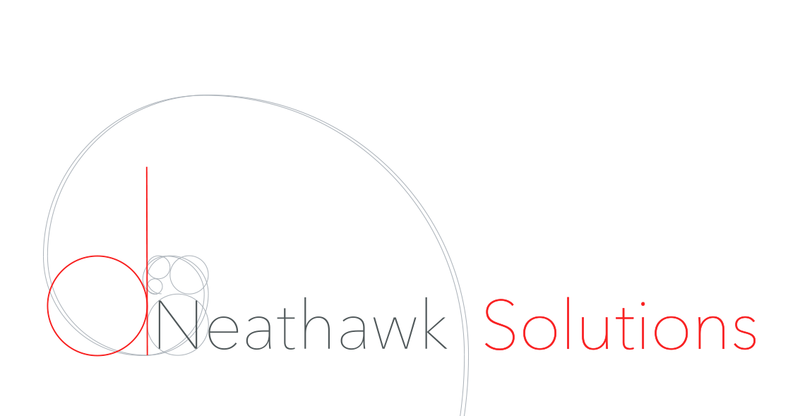 Conceptually, I wanted to create a design that reflects the elegance of math in nature. 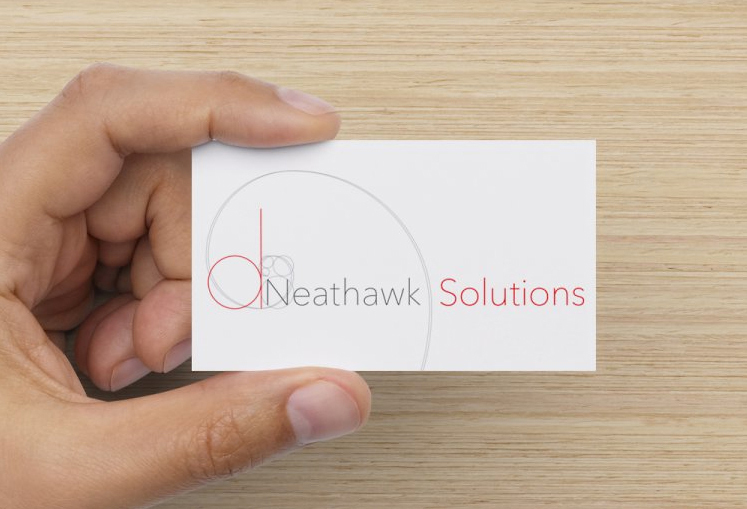 There are also several layers of meaning behind the design, including the five concentric circles built on the golden rectangle (representing the five members of the Neathawk family). 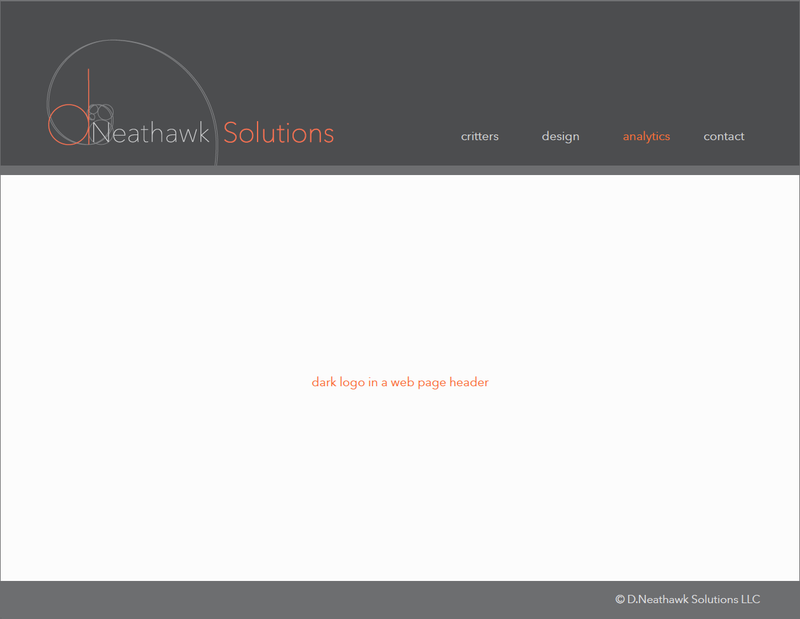 On a personal note, this design holds a very special place in my heart. 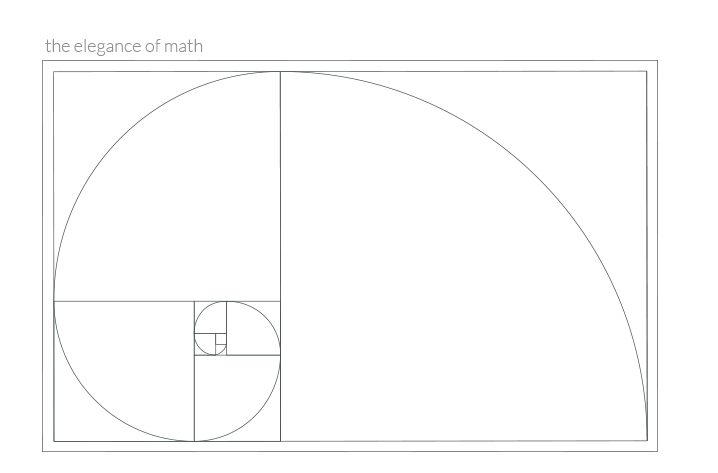 My dad taught me about the Fibonacci Sequence when I was a little girl. The Golden Ratio was still an obscure concept back then (it is much more prevalent today), so it was like we held the secret to the universe.